Pioneering science and the wisdom teaching of many traditions agree - consciousness expresses itself as energy. All energies are manifested as waves - and it is from the vast and ever changing interaction of these waves of energy that the entire Cosmos, at all levels of existence, is continuously created. 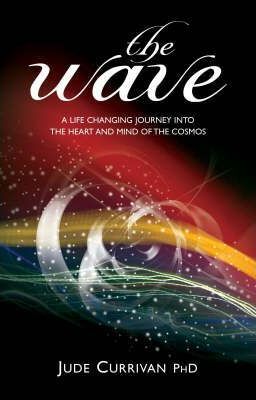 In easily accessible terms, The Wave explains the profound interconnectedness and harmony of the Universe and reveals its underlying principles. Powerfully combining age-old wisdom teachings and leading-edge research, it reconciles science and spirit into a universal model of consciousness. It describes how we co-create our realities, how the Cosmos affects all life on Earth and what Earth energies are and how they work. It rediscovers the ancient knowledge that birthed feng shui and astrology and perceived the harmony of sacred geometry, music and number. It clarifies the meaning behind a multitude of esoteric and metaphysical teachings and the common principles underlying the many techniques of energy healing. Above all, The Wave explains the power of love. It marries mind and heart and births a creative and practical spirituality from their union. With a lifetime's study of ancient wisdom and metaphysics, scientist Dr Jude Currivan holds a PhD in Archaeology and a Masters Degree in Physics, specialising in cosmology and quantum physics. Experiencing psychic phenomena from early childhood, she is also a healer, sensitive and cosmic geomancer who has worked with the shamans and wisdom keepers of many traditions and teaches worldwide. She lives in Wiltshire, UK.